Rumour No. 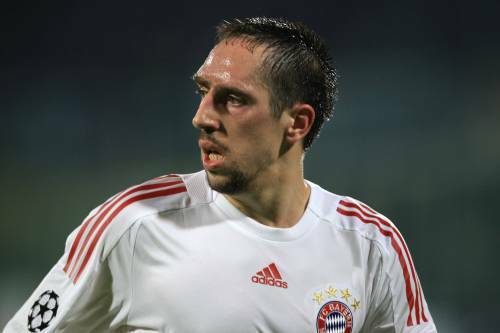 1: Reports in the German media today are suggesting that Manchester United, Manchester City, Chelsea, Barcelona and Real Madrid target Franck Ribery is set to sign a new five-year deal at Bayern Munich that will see him tied to the German club until 2015 – thus putting the kibosh on any prospective summer move. Rumour No. 2: Manchester City are set to continue with their pursuit of Aston Villa midfielder James Milner and are now looking to complete a double raid on Villa, having enquired into the potential availability of winger Ashley Young. 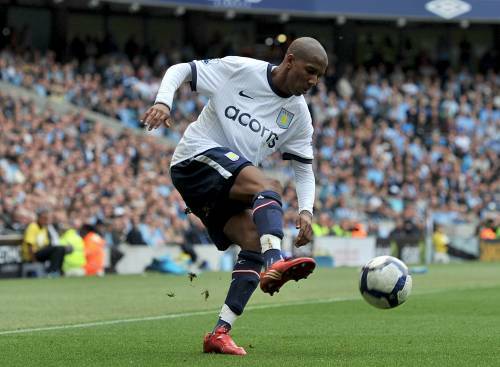 However, City will face competition for Young from Tottenham, who are hoping to tempt Villa into a deal by offering either Jermaine Jenas or Robbie Keane in part-exchange. The Best of the Rest: Liverpool captain Steven Gerrard is so fed up with Rafa Benitez that he will walk out of the club if anyone makes him a decent offer. Chelsea manager Carlo Ancelotti is keen on making Real Madrid star Kaka his first signing of the summer. Manchester United are eyeing an £18 million move for Sevilla’s Brazilian striker Luis Fabiano. Sticking with United for a second, Sir Alex Ferguson has told reporters that Dimitar Berbatov is ‘catergorically not leaving’ the club this summer. Manchester City, Tottenham, Arsenal and Liverpool are all monitoring Guiseppe Rossi‘s situation at Villarreal, although the 23-year-old former Manchester United forward is thought to be hankering after a move to an Italian club. Arsenal are planning a move for Marseille midfielder Stephane Mbia, who is rated at around £16 million by the French outfit. Palermo are keen to take Swiss utility man Valon Behrami off West Ham’s hands, but Liverpool are hoping to swoop first by offering a swap deal that would see Yossi Benayoun rejoining the Hammers. West Ham themselves are planning an ambitious £12 million bid for Toulouse striker Andre-Pierre Gignac, who has been included in France’s World Cup squad. Birmingham have made an improved bid for Wigan winger Charles N’Zogbia after seeing their £8 million opening offer rejected. Newcastle are prepared to give Tottenham £5 million to bring Jermaine Jenas back to St James Park.